Ever had that funny feeling about someone you don’t know who’s approaching you? There’s something about them that makes you feel uneasy or you think they could cause you harm. Scientific evidence indicates this is more than just learned behaviour: it’s a survival strategy, and something we are born with. But could it help with security and monitoring in public spaces? Some researchers say yes: objective measurements of moving human bodies could be used to predict gender, identity and intention, and may be useful for application in forensic cases. There are some limitations: you can project a false message through body movement too. The patterns of movement made by living creatures such as humans and animals are collectively referred to as biological motion. It’s a field that has been the subject of increasing research interest over the past 100 years. Most of this research concerns the meaningful information we can take from the observation of various movement patterns, such as walking, running, throwing and catching. Researchers believe this helps us socially interact with others in a way that is useful and appropriate. Many studies focus on the recognition of a person by the way they move rather than just on facial features. They look at what we can determine about the person’s emotions, intentions and actions. For example, when people move with greater exaggeration it may indicate that they are angry and so we would be inclined to move away from that person. If you were a police officer you would approach such a person with more caution. Exaggerated movements can also help us to see these people in an otherwise crowded place which makes them stand out from other visual distractions. This recognition can help us determine someone’s intention to carry out a particular task or activity. For example, a person’s movement may suggest that they mean to cause harm to another person in a social setting. This is particularly relevant given the worldwide concerns with domestic and international terrorism. If we can spot this harmful intent, we can then decide whether to stay where we are, move away from this person, or even report behaviour that seems out of place. Most researchers suggest the ability to take meaningful information from biological motion is something we are born with, especially as we do not seem to need any obvious training to use it effectively. This view is based on evidence that shows humans have a dedicated neural system that processes relevant visual information thus allowing quick and accurate decisions. One theory proposes this ability has developed over thousands of years as a mechanism for survival with early detection of danger from others and their intentions, providing a person the time to fight or flee. The dominant method used to investigate the ability to process biological motion information relies on a technique called point-light displays. This method removes more salient physical features, such as face and body shape, of a person by showing only a series of dots, that are attached to certain joints on the body. Scientists have found that some of the most useful information can be taken from watching the interaction of ankle, hip and shoulder joints when identifying gender, identity and intention. Computer scientists have extended the way in which we gather this information by using various computer programs that incorporate surveillance footage to determine the identity and intent of individuals. Part of the drive for computer scientists to look at surveillance footage is that a lot of research shows one of the reasons we can identify people from their walk is because it is so unique, a bit like a finger print. 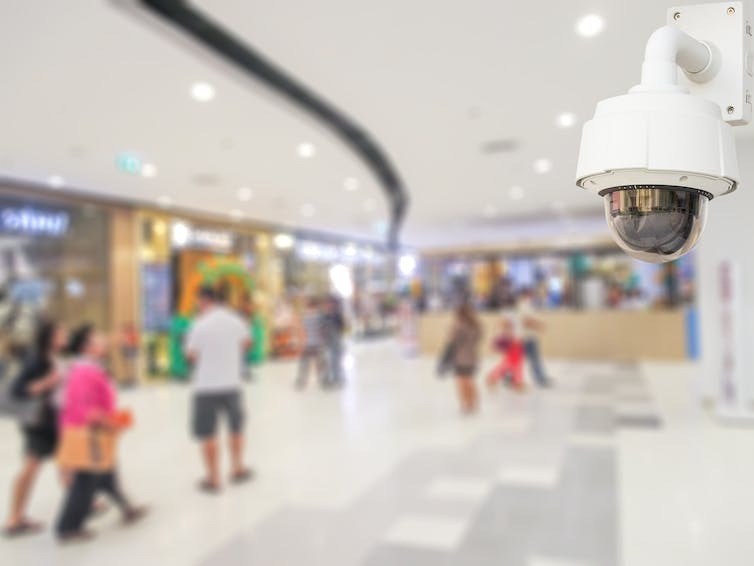 Using surveillance footage (that’s often of average quality) that shows sufficient views of people moving, is increasingly considered a valid forensic tool for use in criminal cases. But some caution should be given to this method as researchers also suggest using walking and running as a biometric (unique identifying characteristic), may be problematic. It can be effected by factors such as, intoxication, load carried, shoe type, walking surface or even tiredness. Knowing we can read so much about a person just from observing their movement raises the question of whether we can use this knowledge to mask our intentions. Some evidence suggests when a person tries to fake a limp, for example, people can identify the deception. The intent is exaggerated and easier to detect, but we can also use this to our advantage. Specifically, those seeking to harm another person may choose someone who appears less confident, which can be detected from walking style. So researchers asked participants in a study to take part in tasks, such as some martial arts classes, which resulted in them walking with more confidence. The study showed that people can reduce their chance of being selected as a victim by convincingly altering their walking. So can we learn to convincingly fake it, to deceive others using movement. And more importantly can we improve our ability to detect people seeking to harm us so we can inform security personnel of potential danger.